Is it a toy pram? Is it a toy wagon? It's the Mocka Moova! Is it a toy pram? Is it a toy wagon? It’s the Mocka Moova! 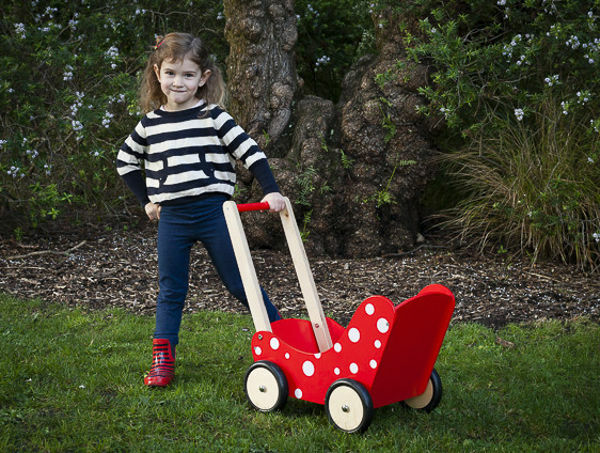 I know this adorable wooden toy is meant to be a doll’s pram – but tell me children won’t find a dozen different uses for this piece of fun on wheels. I know my kids would! The Mocka Moova has the same stylish aesthetic we expect from this brand, as well as a sturdy design. This is one doll’s pram that won’t fall apart. It’s nice and strong, so the kids can pack it full of their dolls, toys, trucks or whatever they can get their hands on, and haul them around in style. It would work perfectly as a wagon or a pram. 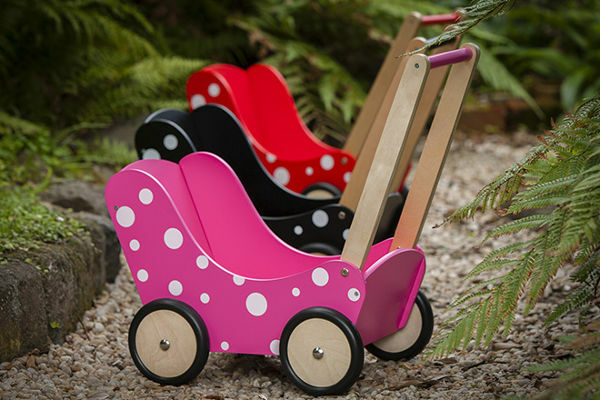 The gorgeous pram comes in the three, polka dot-adorned colours. My favourite is black with white polka dots, purely to aid and abet my monochrome obsession. 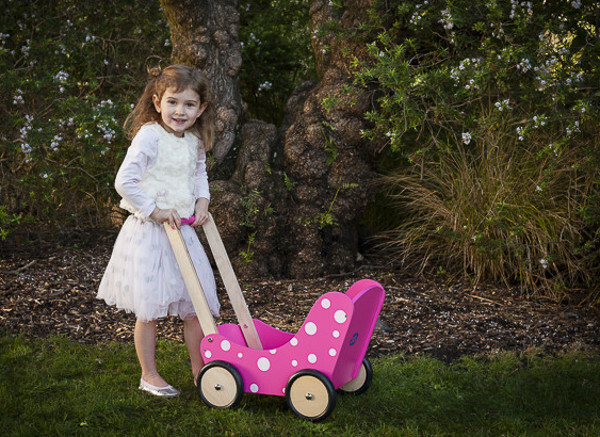 The prams are made from MDF, and when assembled the handle height is 55cm, the length is 54cm. The Mocka Moova is suitable for children from 18 months old, and costs $49.95.